Francesco Scala aka Franz Underwear was born in Pescara (IT) but now lives in Berlin. 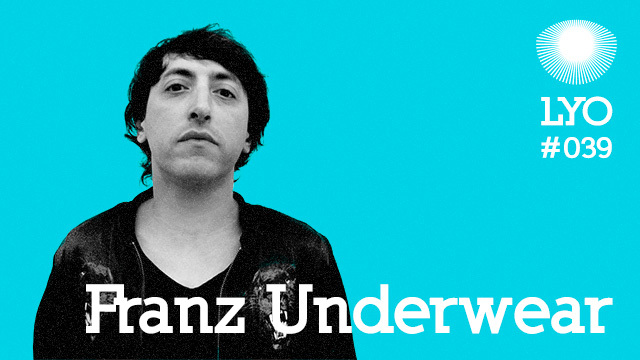 His musical career began with his noise-rock band touring in Italy before he created Slow Motion Records in 2005, a collective of artists responsible for disco and electronic events between Pescara and Berlin. Since arriving in Berlin in 2007, he hasn’t stopped Djing and organizing parties : he is now resident at the monthly Magic Waves and Wrong Era nights, and also at his music label collective parties. He is also a producer, with a first track in 2011 on World Unknown : Grauzone, followed in 2012 by a track under the name of Studio Luce on Cocktail D’amore Music : “Defender X”. 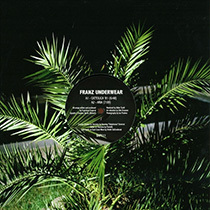 He released his first EP in 2013 on Tusk Wax, followed shortly after by a second EP on Bordello A Parigi. A few days ago his latest track was released, as Studio Luce this time, on a compilation he put together on his own label : “Italian Dance Wave”, an ambitious project combining a CD and several vinyl releases of his own “secret dancefloor weapons”, as well as new tracks from fellow Italian producers. His mix for LYO was recorded live at Sektor Evolution in Dresda and perfectly illustrates his musical landscape, enjoy !